From May 9th-11th Rob and I finally found ourselves at Point Pelee National Park during their birding festival. 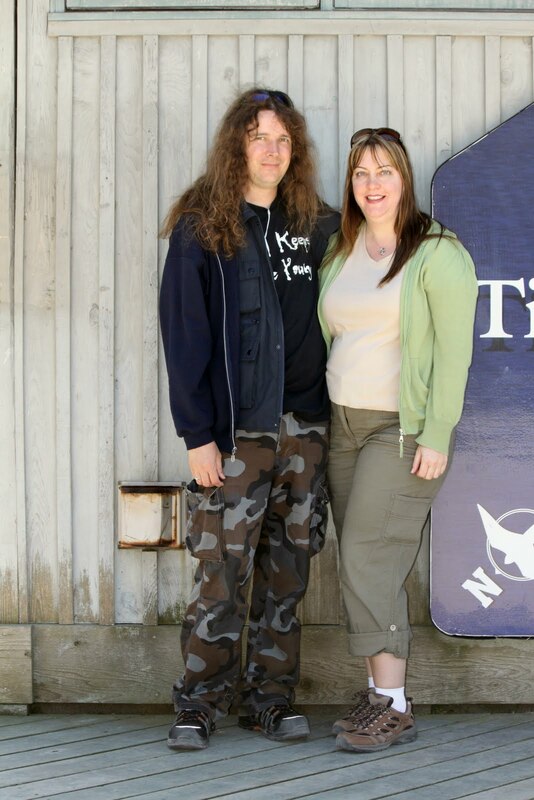 We had tried to visit last year during our vacation, but due to the tornado's that had gone through the Leamington area, the park was closed due to damage. While it was still dark outside, 4am to be exact, our friends Jim and Lynda picked us up and we were off for a three day birding adventure. 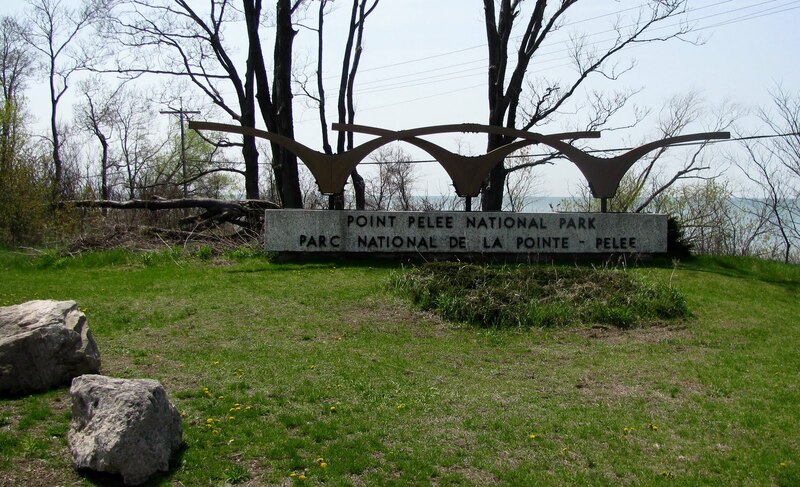 Point Pelee National Park is a world renown birding area, as it is the first point of entry to Canada on one of the major migratory bird paths. Birds who migrant follow the water, and Point Pelee is the most southern part of mainland Canada, so, they all land there first. 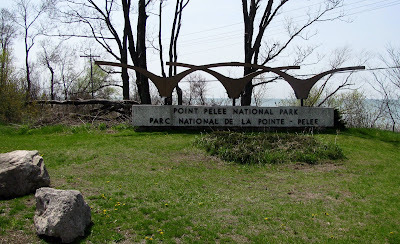 Our first trip to Point Pelee National Park. I had planned an itinerary for our three day trip, but it got put aside as we all agreed that spending most of our time at the park was probably the best bet. 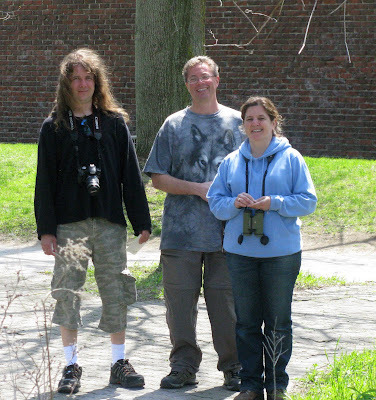 It was the first time any of us had been there, and it was quickly apparent that we were in a birder's paradise. 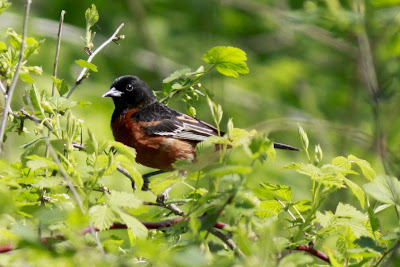 We saw over 90 species of birds during the time we were there, and I personally had 18 lifers, meaning it was the first time I had ever seen that particular bird. 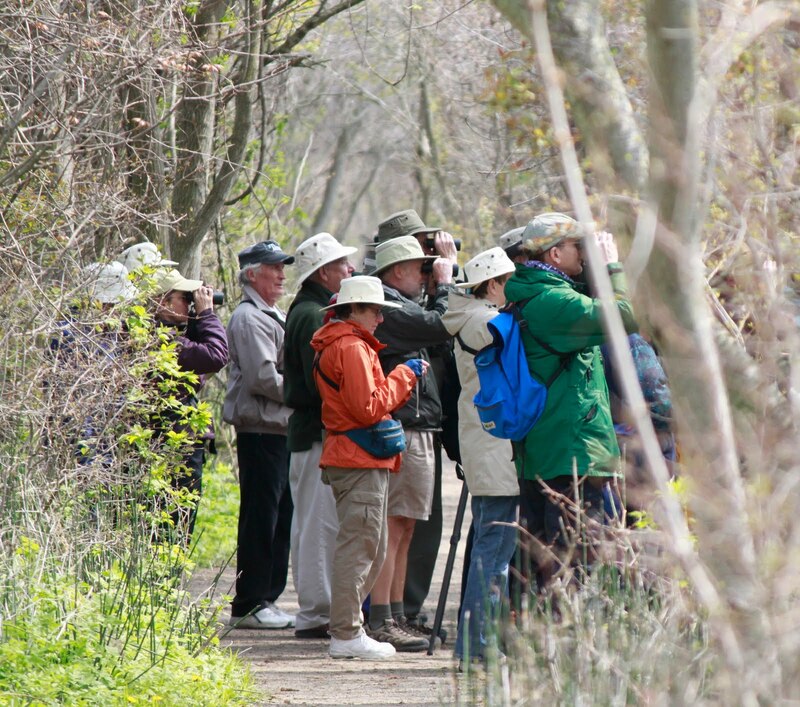 One of the big birding attractions about going to Point Pelee during migration is the warblers. These brightly coloured, tiny, speedy, bug eating machines are a thrill for us birders to see. Some of them come as far away as South America and head to Northern Ontario to mate, raise a family and feast on our pesky bugs. 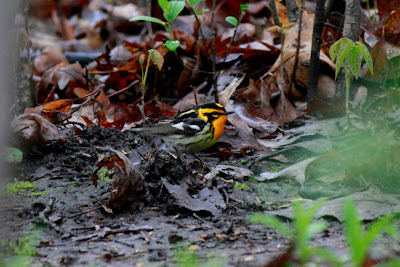 We hadn't seen many warblers before this trip. They are quick moving and sometimes hard to spot. We saw 21 warbler species on our trip, most of them for the very first time. 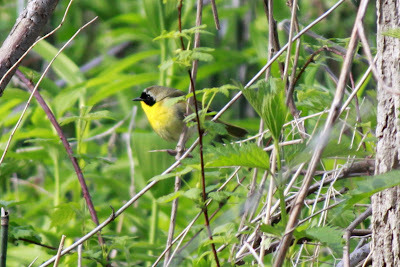 One such warbler, the Tennessee Warbler, caused our first bird nerd moment of the trip. We were all sitting in the picnic area enjoying our lunch on our first day there, when someone yelled, "Tennessee Warbler over here!" The tables emptied in a cloud of dust, as everyone left to go have a look, including us! We fit right in with this crowd! 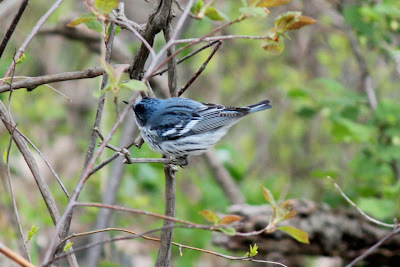 That wasn't the only time I went running to see a warbler, on our second day, when someone let us know about the rare Cerulean Warbler and the one warbler Rob was hoping to see, the Blackburnian Warbler,we were off and running again. The beautiful and rare Cerulean Warbler we were lucky enough to see. This is the little guy I was so happy Rob got to see, isn't he pretty? Male Blackburnian Warbler. It was an exhausting but amazing three days and I now know why birders from all over the world flock to Point Pelee in May. I'm just grateful that I live close enough that this trip will now become an annual tradition. Please enjoy a few more pictures from our trip, all taken by Rob. 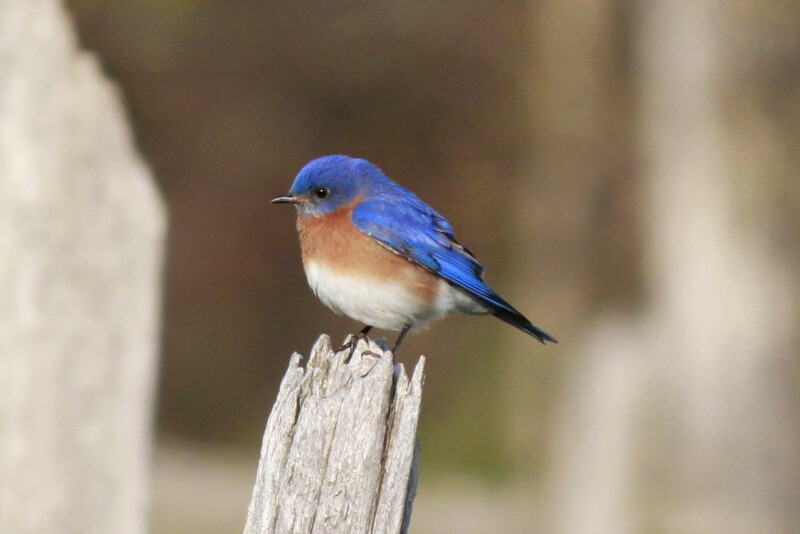 The stunning male Eastern Blue Bird. 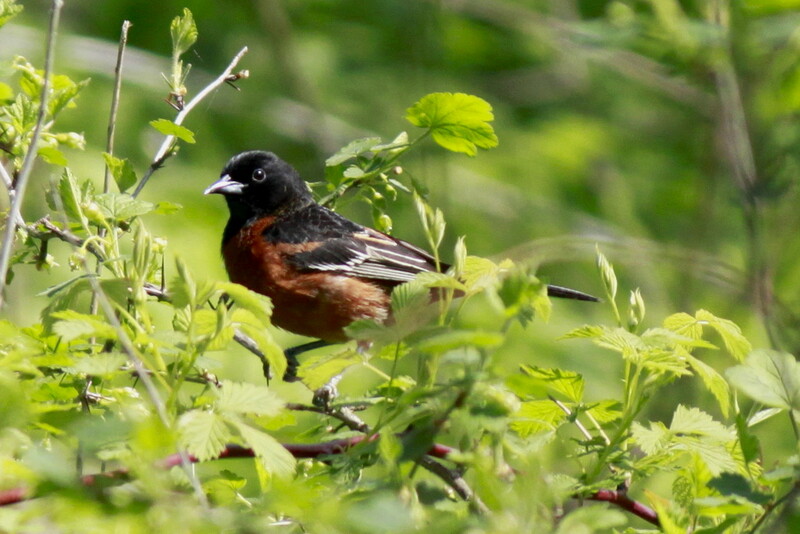 A male Orchard Oriole, he was a lifer for me! 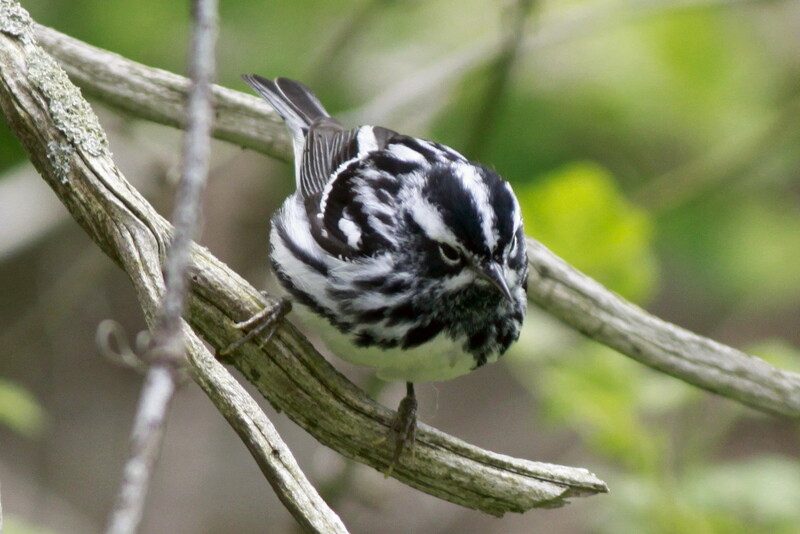 We saw quite a few of these guys for the first time, a Black-and-White Warbler. A male Common Yellow-throat. Common? Are you kidding me? Sounds like a heavenly trip for you guys! It really was a great time. We couldn't ask for better weather for the most part. I look forward to returning next year. Even if we saw the same species of birds. My appetite for new species has been satisfied for a number of years to come. Rob, your pictures are good enough to publish in any bird mageazine.